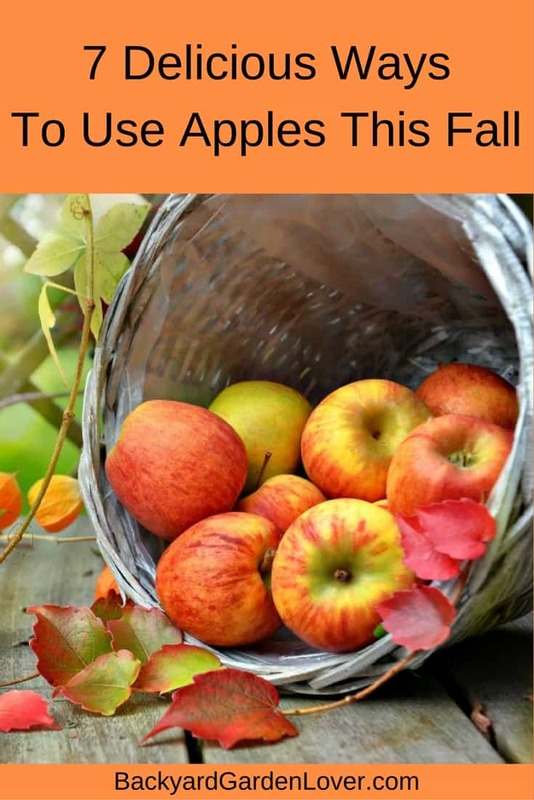 If you are lucky enough to have a bounty of apples, you might be wondering what you can do with them. Sure, an apple a day keeps the doctor away, but what do you do with the rest of them? You can give some away but you might still have a lot left over that you don’t want to go to waste. If you’re asking yourself what to do with apples, I have a few ideas for you. Apples are healthy and delicious at the same time. I love fall time when there’s so much going on in the garden! Harvesting and preserving tomatoes, squash, peaches and of course, apples is the highlight of my year. Here are just a few things I like to do with apples. 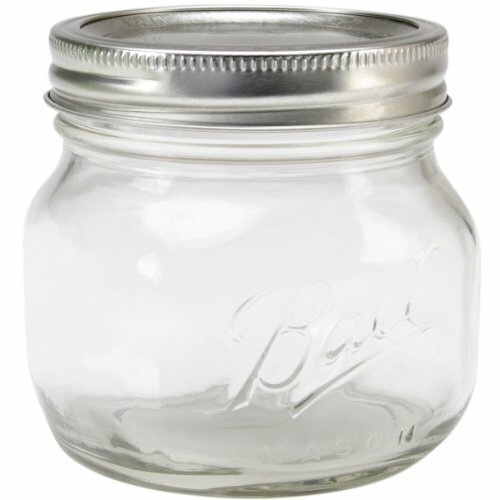 Ball Collection Elite Wide Mount 16Oz Pint Jars (Pack of 4) All you need to make creamy, delicious apple butter is four to five pounds of apples, light brown sugar, ground cinnamon, salt, a large mixing bowl, immersion blender and a large crock pot. Peel and core the apples or you can leave the peel on if you prefer. Just wash them well before chopping and adding to the mixing bowl with the rest of the ingredients. Mix well, transfer to the crock pot, cover and cook until the apples are soft. Stir occasionally. Puree the apples and continue cooking until the apple butter reaches the desired thickness. You can freeze it at this point, or get your canner out and can them. Peel and chop approximately eight to ten apples and place them in a pot. Add about one cup of water and bring to a boil. Reduce heat and allow the apples to simmer until they’re soft enough to mash. Add a little brown sugar and cinnamon along with any other ingredient you would like to use to the apples and mix well. Allow to simmer until the apple sauce reaches the desired texture. Add eight to ten apples to a large pot and completely cover with water. Add cinnamon, sugar and your choice of spices to the water. Boil uncovered for about an hour while stirring occasionally. Reduce the heat, cover and simmer for a couple more hours. Use a fine mesh and/or cheesecloth to strain the mixture and then refrigerate. YUM! Peel and core a few apples or leave the peel on if you prefer. Slice the apples into thin pieces. Mix lemon juice and water in a bowl. Add the sliced apples to the bowl and allow them to soak for approximately 30 to 40 minutes. Pat dry and place single layer on a baking sheet. Bake for about one and half to two hours, turning halfway through. Allow them to cool and they’re ready to eat. 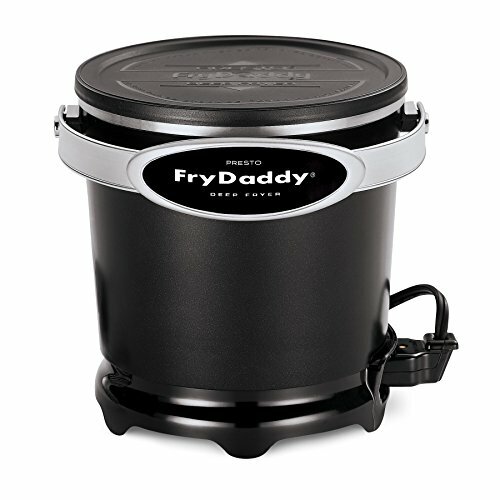 Presto 05420 FryDaddy Electric Deep Fryer All you need to make apple fritters in a deep fryer is granulated sugar, all purpose flour, vegetable oil, eggs, baking powder, milk, salt, cinnamon and about half a dozen apples. Add all of these ingredients, except for the cinnamon and apples, to a large bowl and mix together. Now, peel and cut the apples into small pieces and add to the bowl. Mix well until the apple pieces are completely covered with the mixture. Deep fry the pieces until golden brown, drain and sprinkle with cinnamon. Thoroughly wash a dozen apples and place a Popsicle stick firmly into the top of each one. Turn upside down and place on a baking sheet covered with waxed paper. Spray the wax paper with a cooking spray to prevent sticking. Mix corn syrup, water and sugar in a saucepan and bring it to a boil. Cook until the mixture reaches 300 degrees Fahrenheit and remove from heat. Add food coloring if you want your candy apples to be red. When ready, dip the apples into the mixture until they are fully covered. Return to the baking sheet and allow the candy coating to harden before serving. Preheat your oven to 425 degrees Fahrenheit. Peel and cut apples in small, thin slices. Add sugar, flour, ground cinnamon, salt and lemon juice to a large mixing bowl. Ground nutmeg is optional. Place your homemade or store-bought pie crust in a nine-inch glass pie pan and press against the sides. Add the ingredients in the bowl to the pie crust and cover with a second crust. Seal the two pie crusts together and cut slits in the top. Bake for approximately 45 to 50 minutes, cool and enjoy. 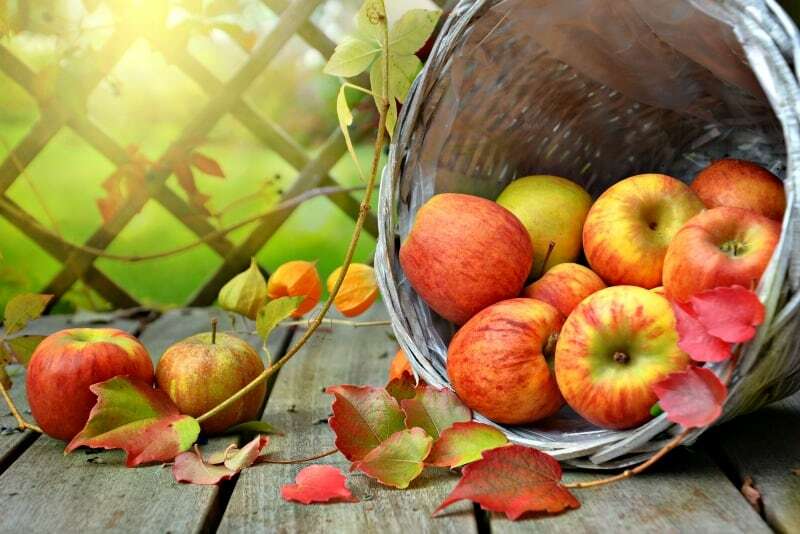 There are so many wonderful things you can do with apples, you’ll never have to worry about what to do with all of those apples you harvest in the season.